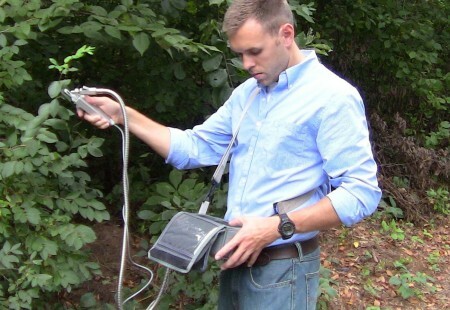 The new OS5p+ is the most advanced addition to the ADC:OSI range of Chlorophyll Fluorometers. Weighing just 1.4kg and offering 12 hours of continuous use, the battery operated OS5p+ is set to offer new levels in portability and performance for a field pulse modulated fluorometer. Both ambient light and dark adaptation parameters may be determined by the OS5p+ including Fo, Fm, Fv/Fm, Fv/Fo, Y(II), Ft, Foq and Fms. Photochemical and non-photochemical quenching coefficients such as qP, qN and NPQ can be calculated. 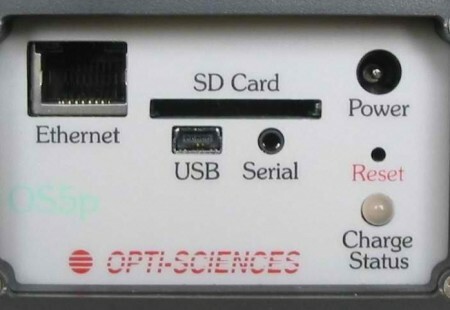 The OS5p+ offers researchers exceptional control over each experiment. This includes source intensity, saturating pulse intensity and a sampling rate of up to 10,000 samples a second. A two channel (660nm / 450nm) modulating light is provided, as is a 735nm LED for Fod determinations. Data can be stored in the large 1GB internal memory, capable of storing many thousands of data sets and traces, or on removable SD memory cards. 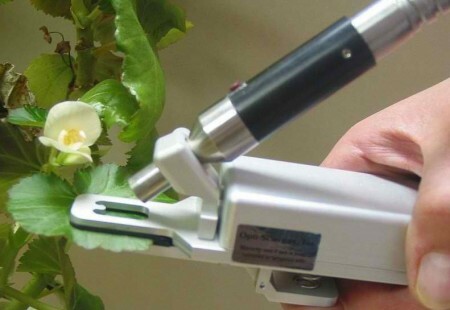 The OS5p+ is supplied as standard, with an open bodied sample clip with integral PAR and leaf temperature sensors. Yield Y(II) varies not only with stress but also with ambient light and leaf temperature levels so it is important to monitor these for the duration of your experiment. When working in high actinic light environments the system can improve the accuracy of results by using multi-flash Fm’ correction. For monitoring the light absorbing characteristics of samples the OS5p+ is pre programmed with rapid light curves. Ideal for canopy or aquatic experimentation.